Please fill out the following form to place your order on or before noon on Monday, October 19, 2015. 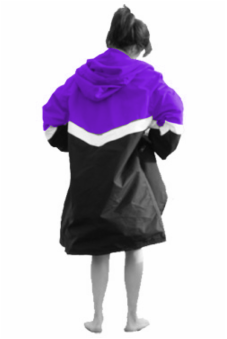 All parkas will be purple, white and black (as shown to the right), with our logo embroidered on the back. Add $4.50 for embroidered name. Add $4.50 for each additional word. No embroidered name. Add $5.00 for optional interior pockets. No optional interior pockets. You may lengthen or shorten the jacket and sleeves for an additional charge. Please specify the number of inches.